I am professional audio/video technician that has designed, sold and installed hundreds of quality systems in the last 34 years. I am working as a father/son team with my son Steven in the Nashville and surrounding area. My approach is to find out what the customer truly wants, give options to accomplish their goals with quality equipment that fits in their budget, then schedule and install a quality installation. Finally, I deliver laminated, typewritten instructions and train if necessary. I tend to rely on proven systems and do not jump on the latest fad. I charge a reasonable rate for the labor it takes to do the job right the first time. Let me help you with your audio/video needs today. Good lighting design requires the proper lamp combined with the proper fixture, in the proper location. Lighting is an "art form" that combines the subtle with the bold to create an appealing canvas. The effective combination of shadow and light applied to the night time canvas of your home requires a professional approach to accentuate its three dimensional character. There's no substitute for experience when applying creative brush strokes of light to the architectural features of your home. We have been lighting residential and commercial projects since 1983, and understand what it takes to present your home in its best light. In fact, we have developed several techniques that are so unique, other installers have sought to implement them in their projects. SSPM is a consulting service that assists client with the design and implementation of their exterior projects including outdoor rooms, pools and water features, landscaping, irrigation and lighting. SSPM utilizes its 40 years of experience in outdoor construction the assist the client in organizing and implementing all phases of the construction. Professional Audio Video Engineering, Inc. -- PAVE -- exists to provide organizations and individuals with custom-tailored audio, video and home automation installations that are not only a perfect fit, but optimize available budget, are easy to use and maintain, and are scaleable for cost-effective expansion. Every project is unique, so whether youre a seasoned Audio Video professional who knows exactly what you want, or a complete novice without a clue as to where to begin, youll appreciate PAVEs experience, creativity, expertise, and flexibility. 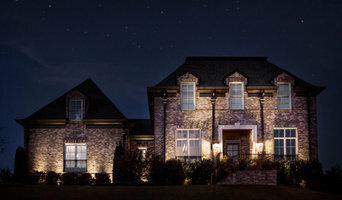 At Light The Way, we provide premium LED outdoor lighting systems to residential customers in the Nashville area. Whether you need landscape or architectural lighting, string lighting for an event, or Christmas lights for the holidays, our luxury LED systems will accentuate your home’s best features & allow you to enjoy its beauty 24/7. We staff hard-working technicians with years of experience in the outdoor lighting industry. Our team understands the complexities of exterior lighting and can deliver on the vision you have for your home. You'll love the aesthetic that our LED systems add to your home, but equally, the peace-of-mind you'll get from knowing our experienced staff installed everything to the highest standards. “Why add lights to my home?” It’s a question we get a lot. The 3 biggest reasons our customers express are… 1. Beauty 2. Value 3. Safety Our luxury LED systems will accentuate your home’s best features & allow you to enjoy its beauty 24/7. We use fixtures from industry leaders such as Kichler & FX Luminaire to achieve a warm, elegant look that you can enjoy and take pride in. Additionally, these systems are a major deterrent to intruders. A recent study by Crime Lab NY found that the implementation of outdoor lighting reduced nighttime crime by 39%. Between the awe-inspiring beauty & added safety, our LED systems offer tremendous value to homeowners. Lighthouse outdoor Lighting is Nashville's most respected and trusted name for custom landscape and outdoor lighting design and installation. We specialize in architectural lighting design and enhancing outdoor living spaces at night. We also specialize in difficult, highly customized and one of a kind lighting solutions for residential and commercial applications. When others simply walk away or might cut corners because of the technical difficulty of a project, we bring solutions and precise execution to challenging lighting projects. While our competitors primarily focus on simply selling you "Lighting products with an installation service", Lighthouse focuses on the "design and effects" our lighting brings to your architecture and landscapes rather than the "tools" to make it happen. Consider products for a moment; we do use only the most durable materials for our equipment such as high quality and consistent color LED lamps, along with brass, stainless steel and copper light fixtures that will endure the harsh Tennesee seasonal weather changes. Using good quality products is very important, but having a good and thoughtful lighting design is of much greater significance. A successful lighting project is so much more than simply the sum of its parts. It is having the knowledge and experience of how to use these tools to seamlessly blend layers of light together and create stunning, visual works of art after the sun goes down. This is what sets us apart from all of our competitors in this field of outdoor lighting. Lighting is an art and it takes an accomplished eye to be able to visualize the final product while in the planning stages. Our team of talented lighting designers and installation technicians have a wealth of experience in all types of lighting mediums. It is our passion to create a truly one of a kind experience for each and every one of our clients and to change the way they view and experience the warmth and elegance of their home and property after dark. When quality and creativity are important, choose Lighthouse of Nashville. We are Murfreesboro’s premier Outdoor Lighting Company and proudly service Nashville, Brentwood, Franklin, Nolensville, Arrington and the surrounding areas. We provide the highest level of quality, professionalism and design in our area. Our goal is to establish and maintain an excellent working relationship with each client for years to come. Scenic Outdoor Lighting is Nashville area's landscape and outdoor lighting specialist. 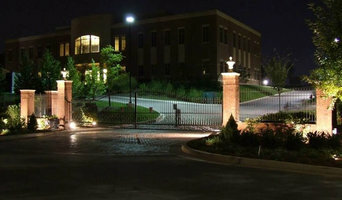 With over 20 years of experience in the landscape lighting industry, Scenic Outdoor Lighting has made it their mission to provide outstanding service and value to our clients while taking peoples' breath away with the incredible night time portraits created by our dramatic and magical lighting designs. Serving the Nashville, Franklin, Brentwood, Dickson and Murfreesboro areas with the highest quality equipment, designs, workmanship and commitment to customer service. All Wired Up is a full service home theater company serving the middle TN area that can both design and install your system to create the experience you desire. We are a professional company that strives to exceed your expectations in every step of the way. While our main focus is on home theater, home automation and housewide audio, we also have many years experience in networking, sound reinforcement and landscape lighting. Rocky Top Outdoors is a full service company that provides landscaping design and installation services aimed at meeting all your horticultural and landscaping needs. We are located in Columbia, Tennessee, about a hour south of Nashville. We specialize in irrigation design and installation, landscape design and installation, and LED landscape lighting. Here at Rocky Top Outdoors we treat our customers like family, take pride in every job, and strive to pay attention to every little detail. Kincade Lighting is a Professional Architectural and Landscape Lighting Firm in Murfreesboro, Tennessee. We Create and Install beautifully balanced lighting systems for our clients Homes, Business’ and Living Spaces. Our experience and creativity makes us a perfect partner for all of your outdoor lighting needs. We are client focused, relationship driven and stand behind our workmanship 100%. 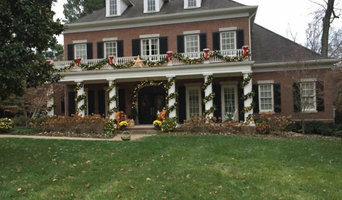 What services do Nashville outdoor audio and visual system professionals provide? Home theaters are moving outdoors, too. Sports fans can grill without missing the game, and families can invite neighborhood friends over for movie nights. 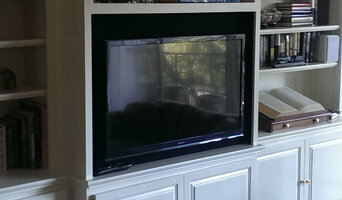 Special weatherized flat-screen TVs are coated to minimize glare. Imagine your Nashville, TN backyard with a custom-designed outdoor theater system — complete with a large projection screen. It makes backyard entertaining easy. Find outdoor audio and visual system professionals on Houzz. Look in Houzz’s Professionals section to find Nashville, TN outdoor audio and visual system experts. Narrow your search to the nearest city or metro area for a list of nearby businesses. Get contact information, read reviews and look at completed Tennessee custom outdoor sound system projects.